People often say to me that I've achieved a lot for someone my age, and whilst this is true it doesn't compare to what Millie Knight has achieved in her 19 years. 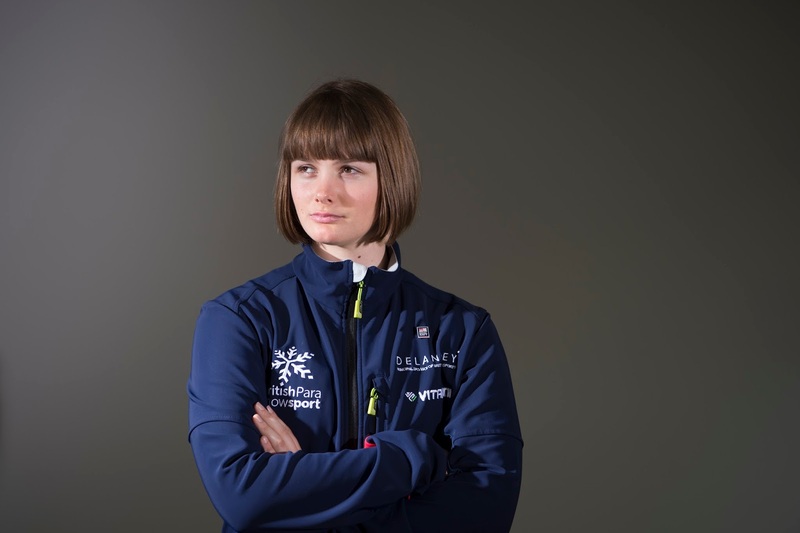 She became the youngest person ever to compete for ParalympicsGB at the Winter Paralympic Games in 2014 when she was just 15 years old. 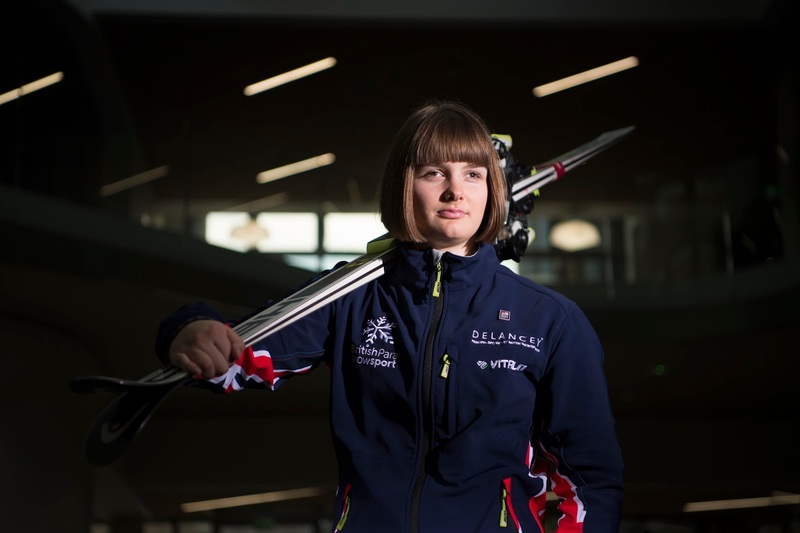 Since then she's gone from strength to strength, and it's all been in preparation for the 2018 Winter Paralympic Games in South Korea. With the games less than 50 days away I recently talked to Millie about her journey to the games and her plans for after. Millie, 19, lost most of her sight as a child, first in her right eye when she was 1 and then again in her left eye when she was 6. When asked how being visually impaired affects her she told me, "I don't believe it does, I can honestly say it's the best thing that's ever happened, I've had all these experiences that I wouldn't have got if I had good sight". Speaking to my disabled friends I often find that they've experienced being discouraged from achieving their dreams, so I asked Millie about whether she ever felt like she'd been deterred from giving sport a go, I was glad to hear that she'd always been well supported. "The school I was at when I lost my sight just treated me the same as every other pupil. In fact, they used to put me in as goal shooter in Netball, even when I couldn't see the net, they let me stay there anyway. And they put me in goal in hockey and things like that, they never saw that [my visual impairment] as a problem. I'm not sure how good I was for my team though." Millie first got into skiing through family skiing holidays, her Mum being her guide at first. 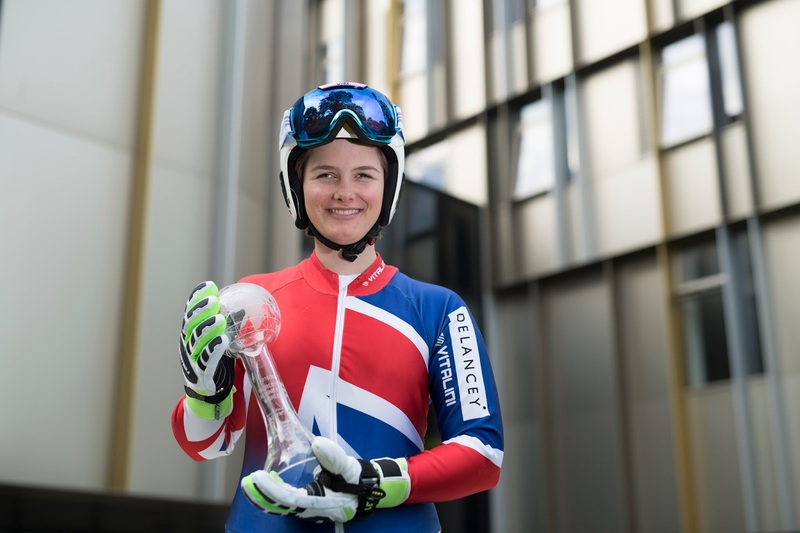 She competes in several different skiing events, including her favourite, downhill. She told me: "Downhill is my favourite, that's the fastest one and the one that has jumps in, probably considered the most dangerous. I think the max speed I've reached is 115kmph. ", which is faster than the average national speed limit for those wondering. "Brett, my guide, was a very good skier before he paired up with me. There are never 2 people on a course so close together in able bodied skiing so for him that concept was quite new to him and having someone so close behind you, he was like 'if I crash will you stop'. I suppose he's got the ideal background because it is a lot of responsibility and pressure." Millie has spoken about the 2014 Paralympics, where she was the flag bearer at the opening ceremony for team Paralympics GB, as a rehearsal with the 2018 games being the main aim. Now those games are less than 50 days away and she's doing her final preparations. I asked her about what has changed since the 2014 games: "When I went into 2014 I had no pressure at all, I was going for the experience and to see what it was like whereas now it's more about my performance and a little bit more pressure, especially based off our results from last season. It will be a very different situation, I'm now going as a competitor who is pushing for a medal." Already competing at a Paralympic Games previously doesn't make this time round any less nerve-wracking though, I asked Millie about how she was handling nerves as the big event gets closer and closer. "I've got a fantastic sports psychologist who I work with very closely, but I've just got to treat it like any other race, I'm just doing the most that I can possibly do to put me in a good position for when I'm pushing out the start gates." "It has been tough, but my school were absolutely phenomenal at letting me go away skiing and they'd give me one to one lessons and catch up lessons when I got back. It was tough being away for so long, especially because I had a massive crash where I sustained quite a severe concussion in March, so that was no ideal for my A Levels. I think that was more challenging than being away from school for skiing, but I managed to get through with some pretty good results." 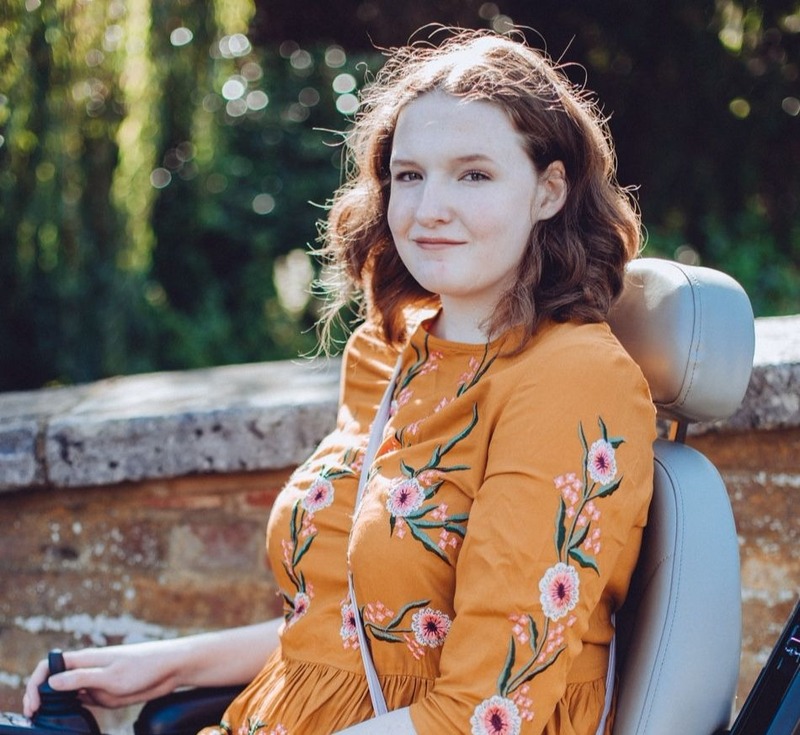 It took her months to recover from the crash but she still got outstanding results in her A Level's, good enough to get her a place at Loughborough University studying sports psychology. 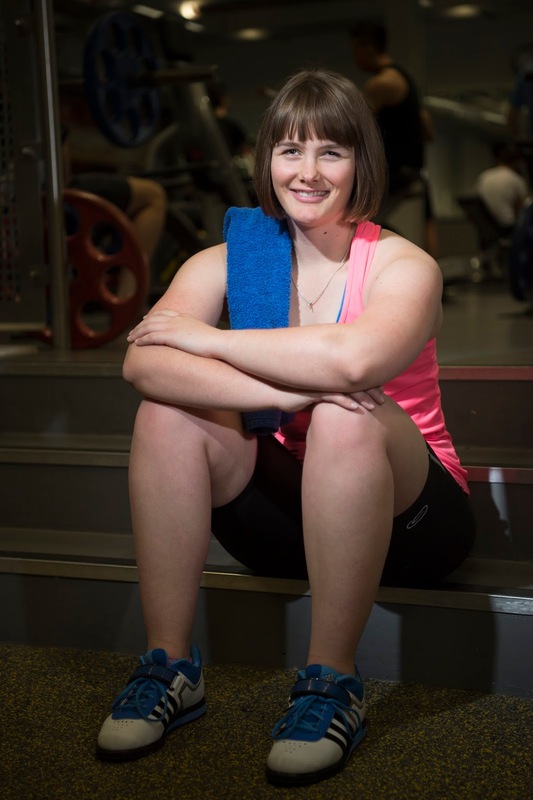 Loughborough is renowned for being a sports university and so is the ideal place for her to be as she'll be starting the 3rd Paralympic cycle after the upcoming games finish. I asked her about how she came to be interested in studying sports psychology: "I guess it just fascinates me, my sports psychologist is very inspiring. What she does and how she affects my performance is something I really want to learn more about. Hopefully one day I might be as good as her." Her university achievements have already begun though as she was given an honorary doctorate at the University of Kent during last Summer. "Just go ahead and try anything, for me I tried many sports before I found skiing. I just kept going until I found one as I knew I had to do a sport as I'm just that type of person, competitive. Sport has changed my life for the better, it's given me so many opportunities. I've been to see amazing countries and places and so I think the opportunity that you gain from sport is like no other, it's worth giving a try." The Winter Paralympics are being held in Pyeongchang, South Korea and begin on March 8th and finish on March 18th, you'll be able to watch here in the UK on Channel 4. You can keep up to date with Millie on Twitter and Instagram. I'm sure you'll join me in wishing her and Brett the best of luck at the games!